Tom has represented businesses for more than 25 years and was formerly a name partner in a Bucks County, PA law firm before joining FWHL. Tom’s practice is a mix of litigation, transactions, and counseling on long term strategic planning issues as well as day to day operations. 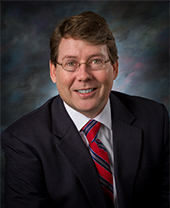 Tom’s litigation practice includes: complex commercial litigation; enforcement of creditors' rights; remedies under leases, loans and equipment financing agreements; bankruptcy matters including adversary proceedings; construction litigation; shareholder and corporate litigation; employment law, including labor relations representing management and enforcing covenants not to compete; and trade secret litigation. Since joining FWHL, Tom has also worked in the Creditors’ Rights department bringing his experience litigating contract disputes to bear in representing creditors in different forums in connection with protecting and enforcing their rights and remedies. Tom also focuses on representing contractors and subcontractors in PA and NJ, including with respect to public works contract disputes, bid protests, mechanics' liens and payment claims, and complex construction claims litigation (including claims for damages from delays, acceleration, inefficiencies, loss of productivity, and other categories of damages. Tom also represents minority and women owned business enterprises (MBE's, WBE's, and DBE’s) in the construction industry. Tom's litigation experience is an invaluable asset in representing clients in commercial transactions, mergers and acquisitions, real estate matters, and drafting key business contracts. Tom also has experience with e-commerce and "digital contracts" to monetize opportunities on the Internet and represents web based software providers. 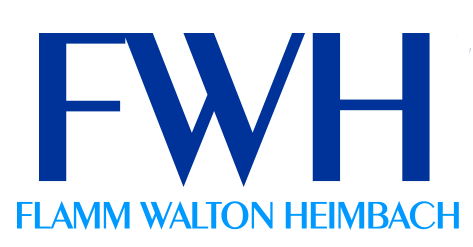 Since joining FWHL, Tom has also worked with loan documents, documents providing security in collateral, and forbearance agreements to protect creditors’ rights. Finally, Tom has represented any number of clients and businesses in succession planning, including bringing in the next generation into family businesses as well as providing guidance for key employees to buy-out founders in closely held businesses working directly with clients’ accountants and tax advisors. Construction Litigation: co-counsel representing general contractor on $100 million public works transportation contract filing suit against public owner and negotiating favorable eight figure settlement for contractor. Commercial Litigation: Enjoined the School District of Philadelphia in federal court from moving forward with proceedings to suspend a large publicly traded facilities management company from bidding on public contracts with the District for one year (affecting the client’s ability to bid on public contracts throughout the United States and impacting approx. $500 million in revenue); with the District eventually agreeing not to pursue suspension proceedings. Commercial Litigation: Successfully defended a large publicly traded facilities management company from $13 million claim by a minority subcontractor in a ten day arbitration securing a defense verdict and obtaining reimbursement of hundreds of thousands of dollars of attorneys’ fees and costs for client. Bankruptcy Matters: Representing secured creditors in Chapter 11, 7, and 13 bankruptcy cases in PA and NJ and, with local counsel, nationally to protect secured creditors’ interests and maximize recovery within bankruptcy or seek possession of the collateral securing claims. Bid Protests: Successfully prosecuted and defended bid protests for aggrieved bidders on public works and state let government contracts in PA, NJ, MD, WI, and FL. Employment Litigation: Obtained preliminary injunction against former employee and prospective new employer enforcing covenant not to compete all in less than 45 days from filing for relief with employee agreeing not to work for competitor and protecting disclosure of key trade secrets. Mergers & Acquisitions: Negotiated and successfully drafted and closed on $15 million purchase by venture capital firm of software development company with equity and other incentives awarded to selling founders as well as key positions in survivor of transaction.